Jeremiah had been put in prison for proclaiming the word of the Lord (Jeremiah 32:2-3), and he had made it clear, that because of sin, Jerusalem would be overrun and the nation would be carried captive into a foreign land. This was what some would call “redemptive judgment” because, while it would punish sin, it would ultimately bring the people back to God, not wiping them out. Yes, in wrath, He remembers mercy, as Habakkuk prayed for in Habakkuk 3:2. God’s promise to Jeremiah in 33:3, “Call to Me, and I will answer you, and show you great and mighty things, which you do not know” is a promise that stands for all people of all ages; in Malachi 3:7 and Zechariah 1:3 He says “Return to Me, and I will return to you”. No matter how far one has fallen, “The Lord is near to all who call upon Him, To all who call upon Him in truth” (Psalm 145:18). Israel and Judah would be restored, and the “Branch of righteousness” (Jeremiah 33:15) would come, first as Savior, and then as ruler. Their physical restoration to the land was just the prelude to the ultimate time when He will ascend the throne of David (verse 17). His covenant of restoration is as sure as the ordinance of day and night. He didn’t have freedom to walk in the yard. I want to talk to you about your praying. I am ready and willing to answer thee. So come seeking Me and calmly wait. I’ll bring you great blessings from above. 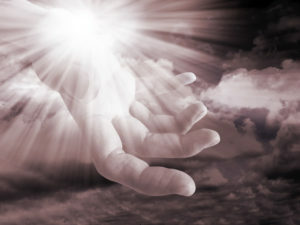 But I will send blessings to you from My hand. So trust Me completely and joyfully sing.